Erik Kratz #15 of the Milwaukee Brewers celebrates scoring on a wild pitch by Scott Oberg #45 who reacts on home plate putting the Brewers up 4-0 in the sixth inning of Game Three of the National League Division Series. 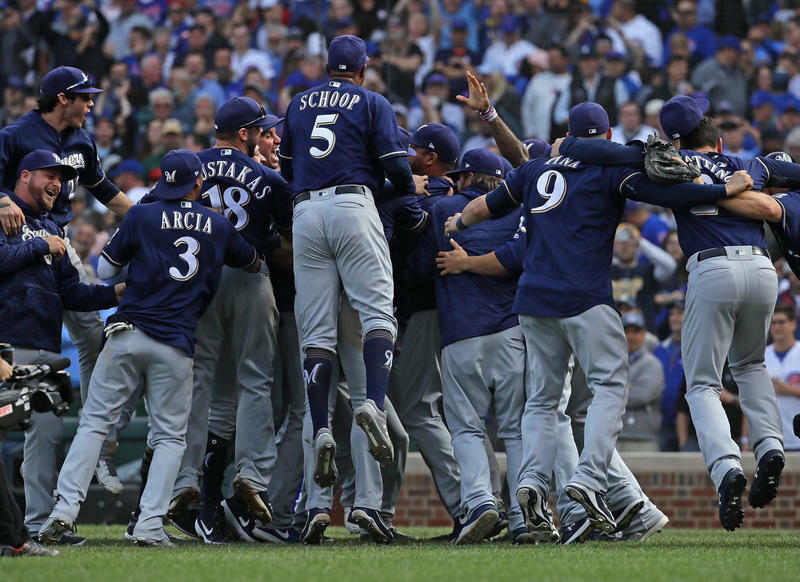 The Milwaukee Brewers recently swept the Colorado Rockies, three games to none, to move on to the National League Championship Series. 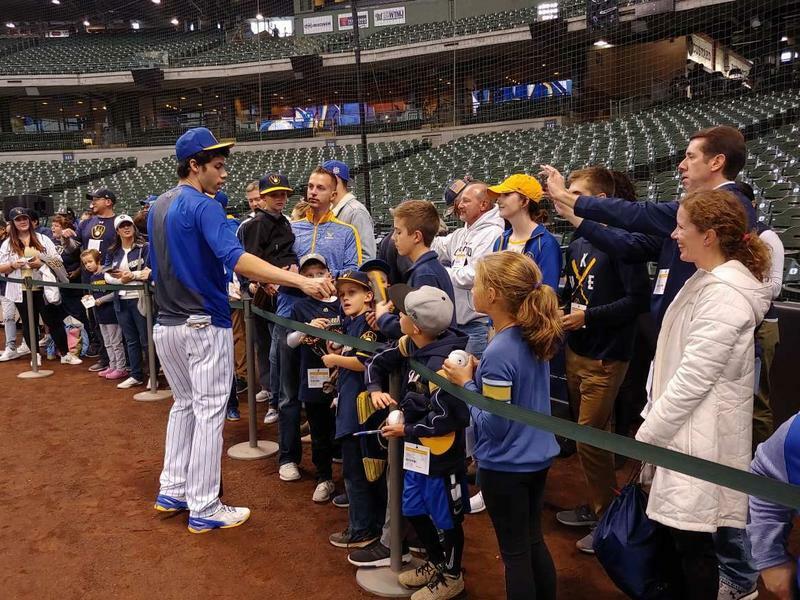 They take on the Los Angeles Dodgers in a best-of-seven series that opens Friday. 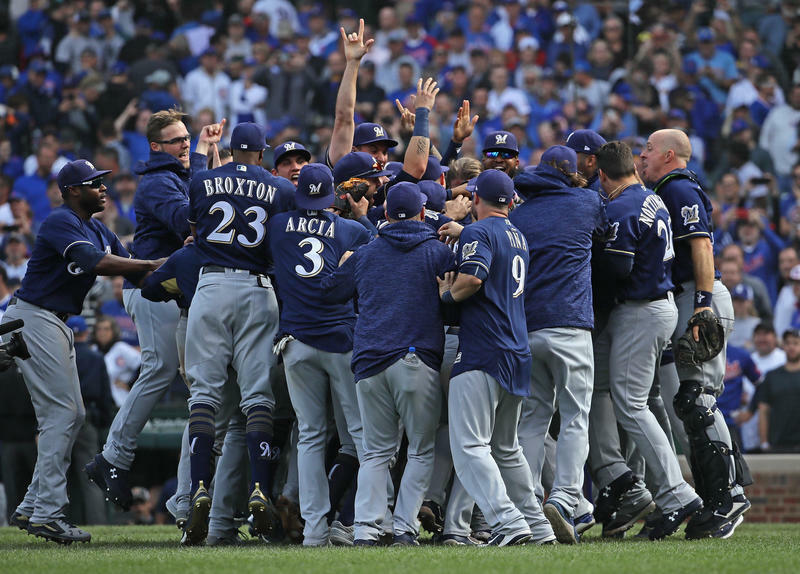 At stake is a berth in the World Series — the Brewers first since 1982. 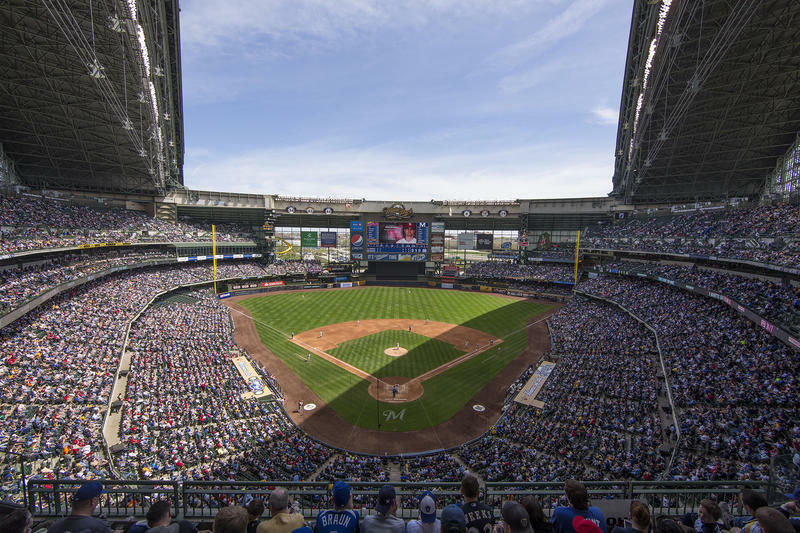 "It’s easy to see why folks would side with the Dodgers in the best-of-seven, but at this point, Milwaukee’s won 11 in a row, you can’t discount them — it’s going to be a series, you’d assume. But yeah, it’s going to be difficult," says sports contributor Shaun Ranft.